After the successful experience of Rio 2016, Tenute Lunelli is back in Casa Italia, this time for the Winter Olympics hosted from February 9-25 in Pyeongchang, South Korea. The Italian Olympics Committee has decided once more to fully involve the main Italian actors in the fields of wine, food, design, and art, in order to turn Casa Italia into the embassy of Italian lifestyle, providing a charming and familiar reference point to all Italian athletes, professionals, journalists, and staff that are currently taking part to the Olympic games. 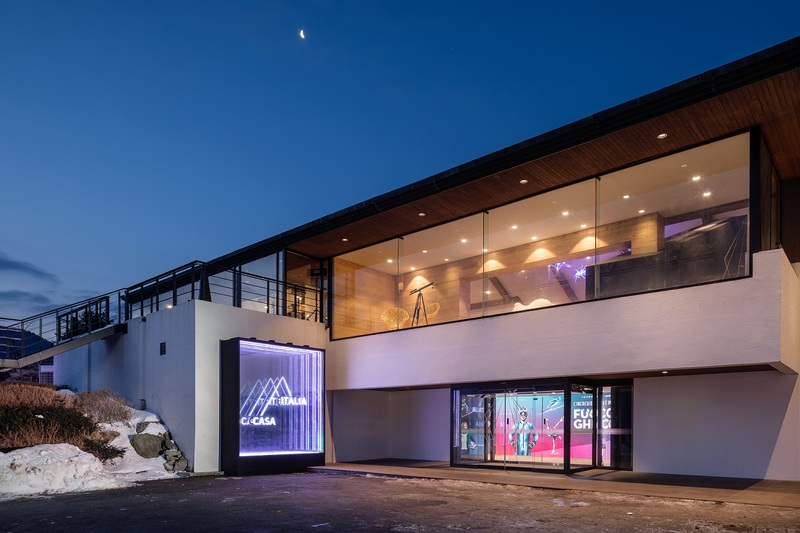 Casa Italia is hosted by the Club House of the Yongpyong Golf Club located right at the heart of the Alpensia Resort, the central hub of all Olympic races and ceremonies. This venue not only acts as a warm and welcoming meeting point for the whole Italian delegation, but also as a genuine showcase of the summa that makes Italy a global icon and ambassador of everything that is “Beautiful and Tasteful”. Art, design, and high-end cuisine will therefore become the main storytelling tools used by Casa Italia in its endeavour to promote Italy in South Korea. The food served in Casa Italia will be carefully prepared by two mountain chefs: Graziano Prest, chef of the Michelin-starred Tivoli restaurant, and Fabio Pompanin, chef of the Al Camin restaurant, both located in Cortina d’Ampezzo, hosting venue of the 2021 Alpine World Ski Championships. Their dishes will be accompanied by one special wine produced by the estates located in Tuscany and owned by the Lunelli family, the Aliotto wine; made of three grape varieties (Sangiovese, Cabernet, and Merlot) grown right at the heart of the hills surrounding Pisa, this well structured wine with a pleasant roundness makes it the perfect match for the typical winter dishes that will be on the menu served at Casa Italia. Casa Italia turns into an embassy of Made-in-Italy thanks to the shapes, materials and colours that embellish it, with the world-famous Italian design perfectly blending into the interiors of the Yongpyong Golf Club to create the perfect spot for offering its products. Ferrari Trento will be the official supplier of all ceremonial toasts of Casa Italia for the Pyeongchang Winter Olympics. Over the years, Casa Italia has become the traditional and informal Italian embassy managed by the Italian Olympics Committee, CONI, during the big sports events, showcasing the very best Italy can offer. Ferrari perfectly embodies the Italian lifestyle and, as such, it has once again been crowned as the official â€œbubbleâ€ supplier to accompany all the successes of the Italian delegation. The lucky guests of Casa Italia will find the Trentodoc wines produced by the Lunelli family in both headquarters of Casa Italia.